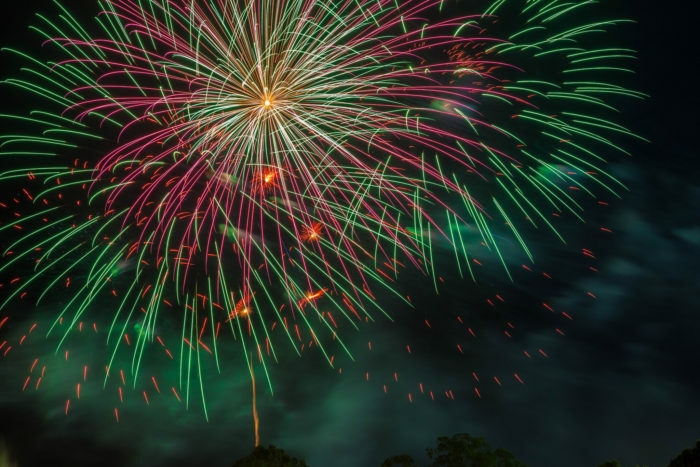 With the Fourth of July just around the corner, we thought it would be a good time to feature all of the best spots around Louisiana to watch the fireworks. There are several spots around the state where you can bring a blanket, lay out on the grass, and enjoy the show. Here are some of our favorites. The 82nd annual 4th of July celebration takes place from July 1-4, 2018 and is jam packed with carnival rides, live music, local food, a fun run, and more. 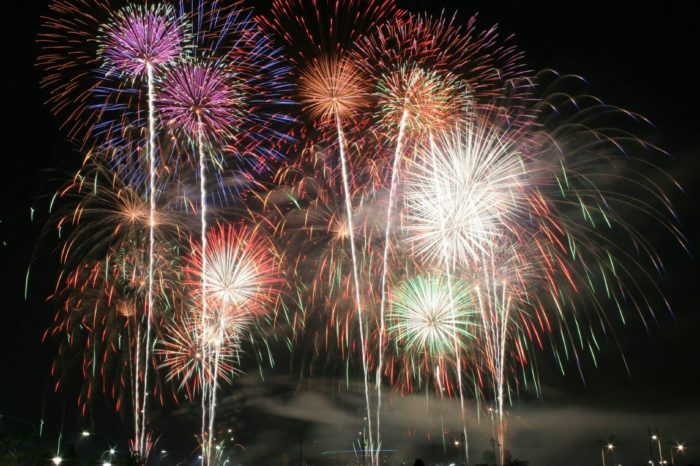 The four-day festival ends with a grand fireworks display you won’t want to miss, starting at 9 p.m. on the 4th. 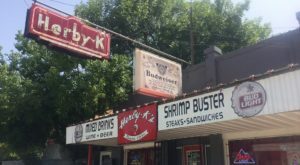 The festival takes place in downtown Erath. 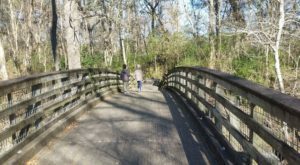 Head over to Mandeville’s lakefront on June 30, 2018, for a fun-filled day of festivities. The community picnic begins at 10 a.m. and several live performances take place throughout the day, before ending with a finale of fireworks over the lakefront. The festivities take place at the Mandeville Lakefront at the corner of Lakeshore Drive and Coffee Street. Dress in your reds, whites, and blues and head over to City Park in New Orleans for a wonderfully patriotic day. Arrive early for a great spot on the lawn and maybe even some patriotic giveaways. You’ll hear music from the Marine Corps Band, and the first 5,000 guests will receive 3D glasses to watch the fireworks display! 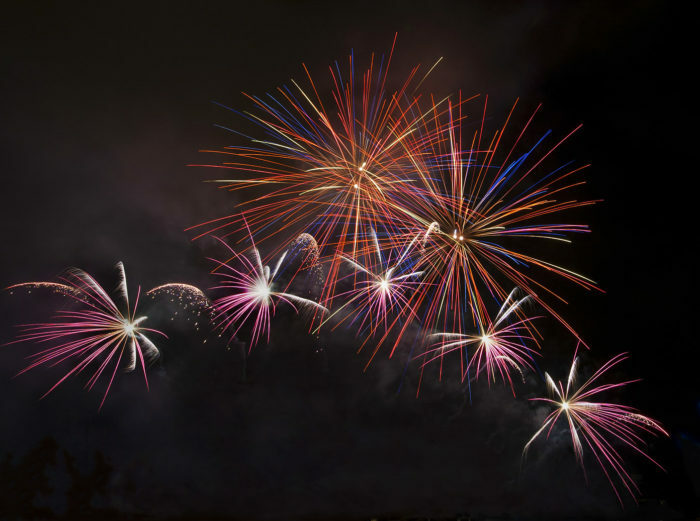 The free event takes place on July 3, 2018, beginning at 7 p.m., with the fireworks display beginning around 9 p.m. Address: 1 Palms Dr., New Orleans, LA 70124. 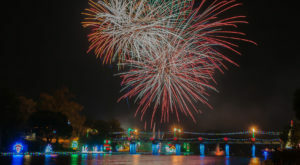 On July 4th, the Festival Plaza in Shreveport is transformed into a patriotic celebration that includes food, music, games, and a magical fireworks display you won’t want to miss. Address: 101 Crockett St., Shreveport, LA 71101. 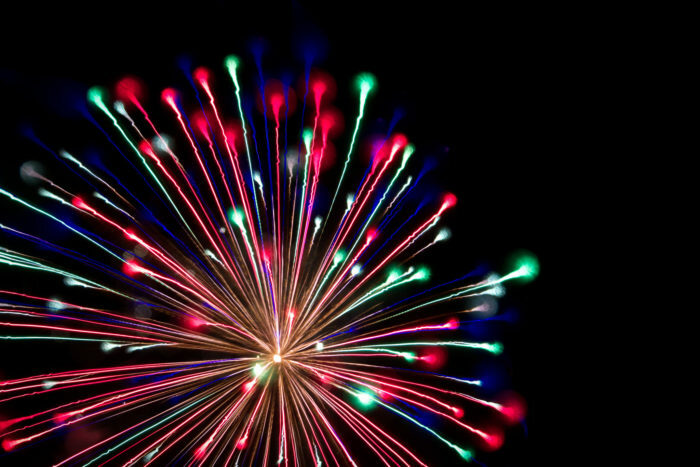 On July 3, 2018, Fireworks over Buhlow returns for its 14th year with live music, food, kids games, and more. The gates open at 4:30 p.m. and the fireworks will kick off shortly after 9 p,m. 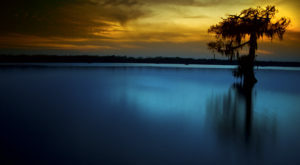 Address: 200 Lake Buhlow Rd., Pineville, LA 71360. 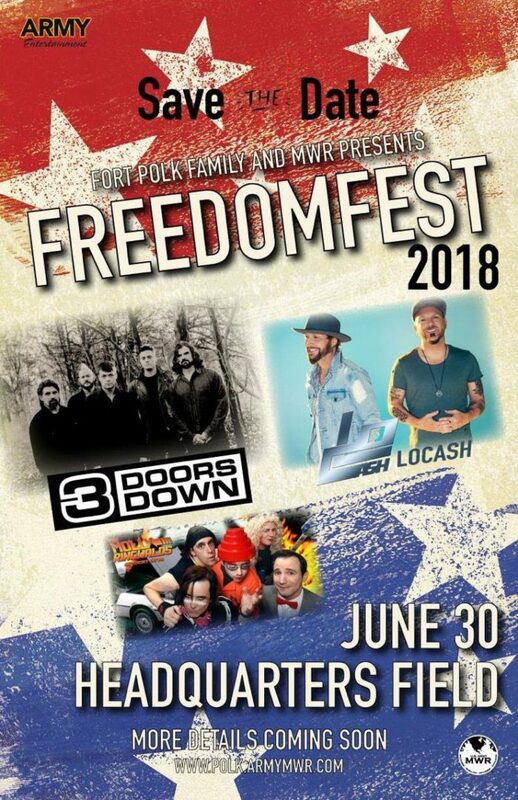 Freedom Fest is free and open to the public and takes place on June 30, 2018. There will be several musical performances, and plenty of food and beverage vendors. 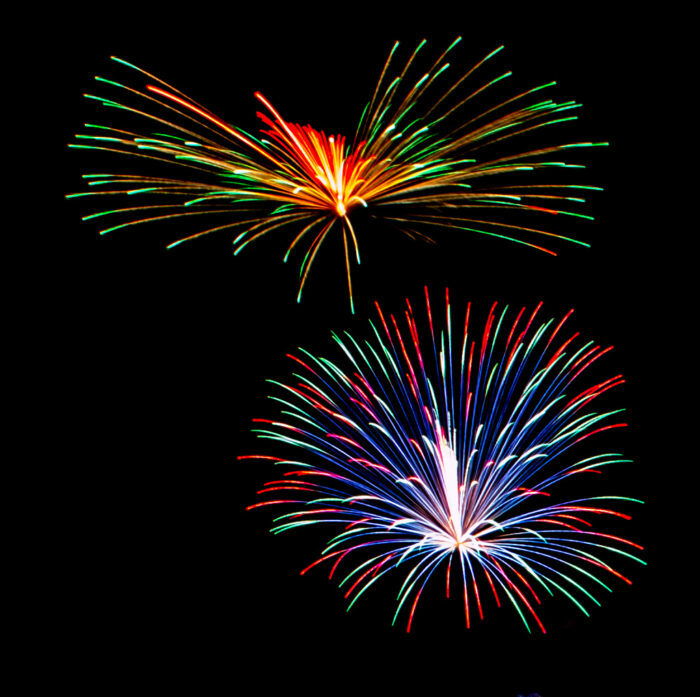 The gates open at 3:30 p.m. and the fireworks display will be around 9:45 p.m. The festivities take place at Headquarters Field in Fort Polk South, LA 71459. Houma celebrates the 10th annual Independence Day celebration on June 30, 2018, at 3 p.m. 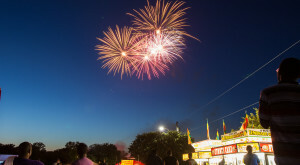 This free event will have tons of food, arts and crafts booths, kids activities, live music, and a spectacular fireworks display that’ll kick off at 9:30 p.m. It takes place at the Houma-Terrebonne Civic Center, located at 346 Civic Center Blvd., Houma, LA 70360. 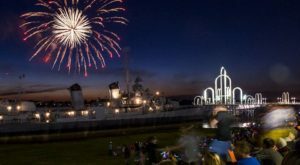 For over twenty years, the USS KIDD has been hosting a 4th of July celebration, and you surely don’t want to miss this year's incredible fireworks display over the Mississippi River. 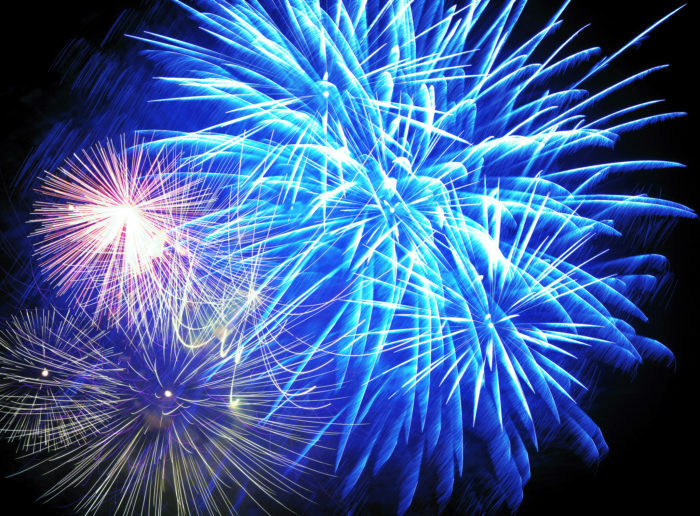 Vendor booths will open at 4 p.m. and will feature a variety of delicious local food and drinks and the fireworks display begins at 9 p.m. 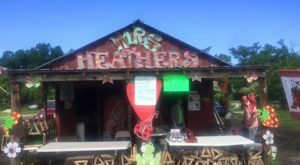 Address: 305 South River Rd., Baton Rouge, 70802. 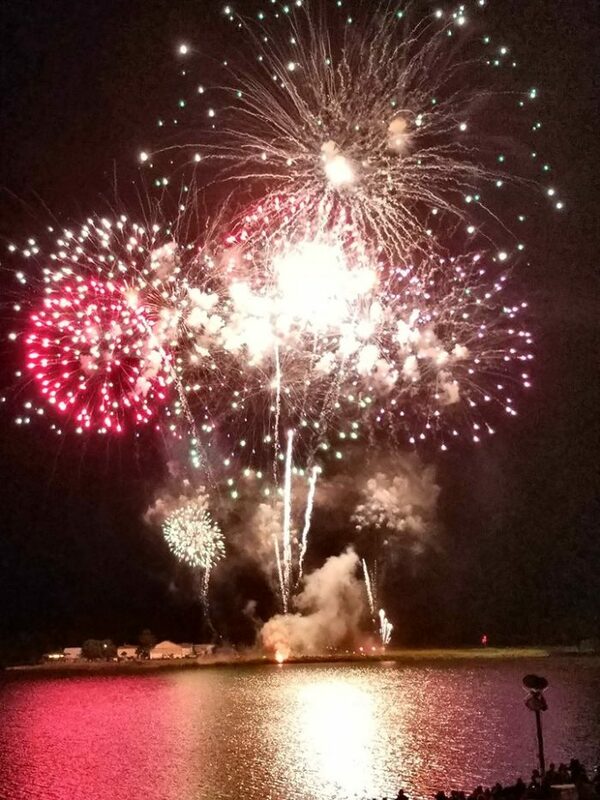 This annual event over in Lake Charles takes place on July 4, 2018, and begins at 6 p.m. 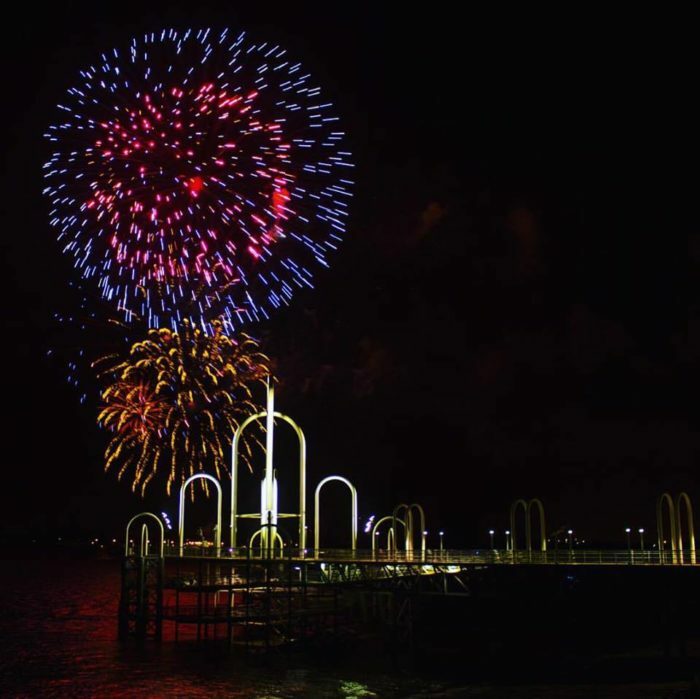 The free event takes place at the Lake Charles Civic Center and the fireworks over the lake will begin around 9:15 p.m. Address: 900 Lakeshore Dr., Lake Charles, LA 70601. 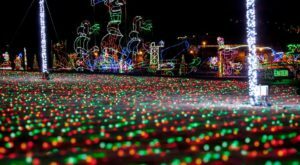 Celebrate the holiday in Louisiana’s oldest city! 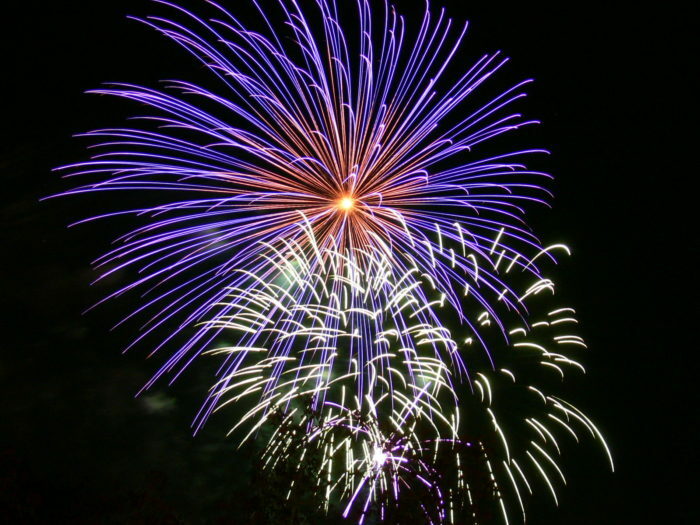 Live entertainment begins in the Downtown Historic District of Natchitoches at 6 p.m. and the fireworks over the Cane River Lake start around 9 p.m.
Bring your lawn chairs and head over to Jennings for the Stars and Stripes Festival, which takes place on July 3, 2018. Gates open at 3:30 p.m. and the fireworks will begin around 9 p.m. The festival takes place at the Louisiana Oil & Gas Park, located at 100 Rue de l’Acadie, Jennings, LA 70546. 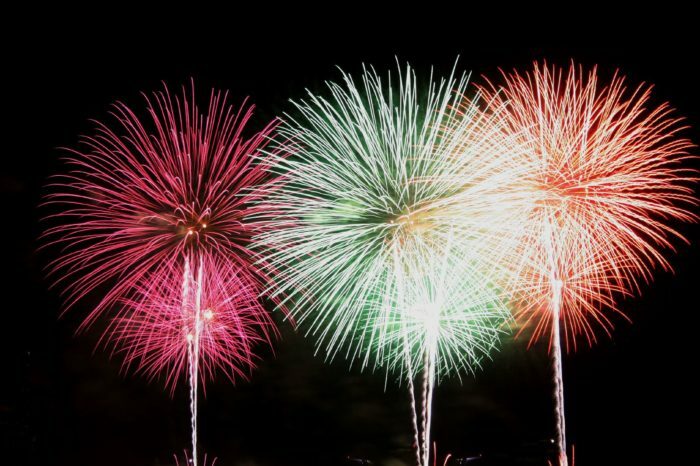 Where’s your favorite place to watch fireworks? Sound off in the comments below! Remember to have a safe and happy holiday no matter where you go to watch them!